Краткое описание: The game is based in the Ghosts'n Goblins universe and features original character designs by Japanese illustrator Susumu Matsushita. The character is controlled by the player and can move freely within areas by running, jumping, crouching, and performing other various motions. 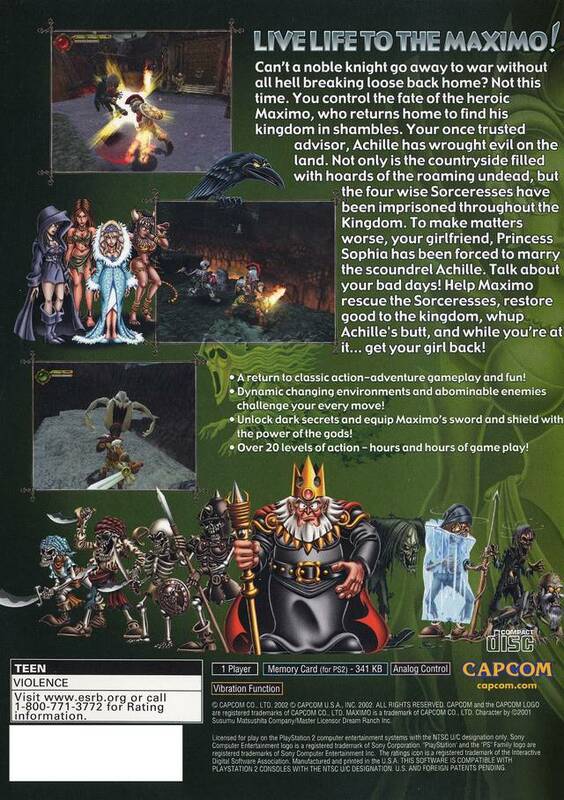 Gameplay revolves around defeating large numbers of enemies, which can be accomplished by attacking with a sword and shield and combos and special moves. 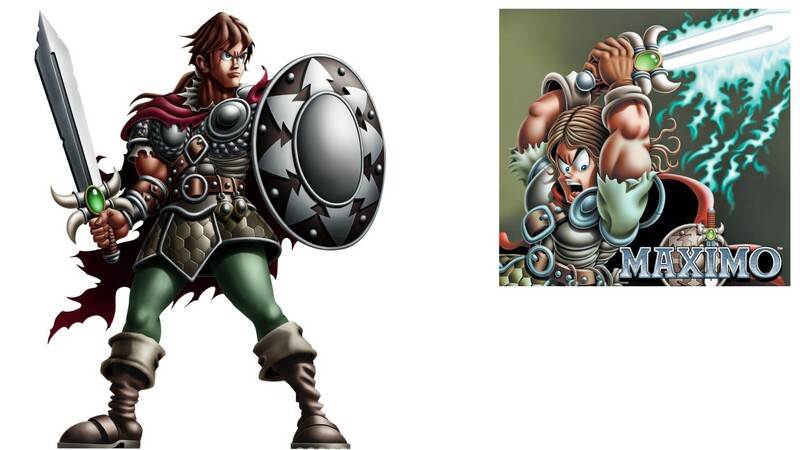 Maximo fights wearing armor, if he is hit, he will lose corresponding pieces of armor and eventually be reduced to wearing his boxer shorts, with another hit resulting in him losing a life. If Maximo loses all his lives, he can continue by giving Death Coins to the Grim Reaper. However, every time he loses all his lives, the required cost for a continue increases. 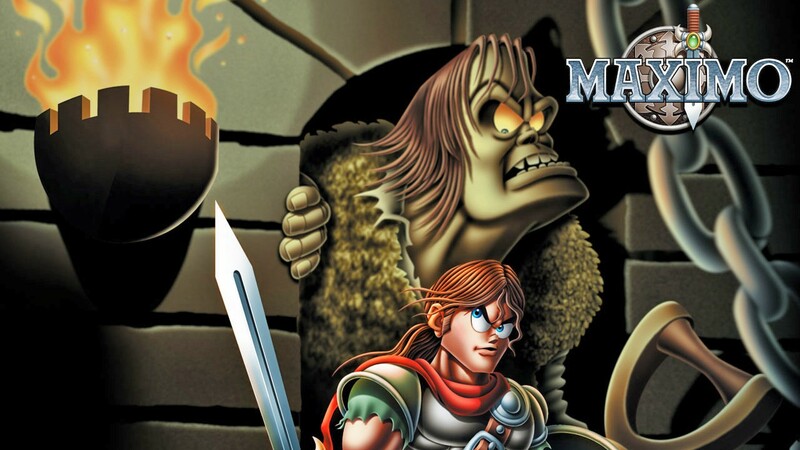 The game is based in the Ghosts'n Goblins universe and features original character designs by Japanese illustrator Susumu Matsushita. The character is controlled by the player and can move freely within areas by running, jumping, crouching, and performing other various motions. Gameplay revolves around defeating large numbers of enemies, which can be accomplished by attacking with a sword and shield and combos and special moves. 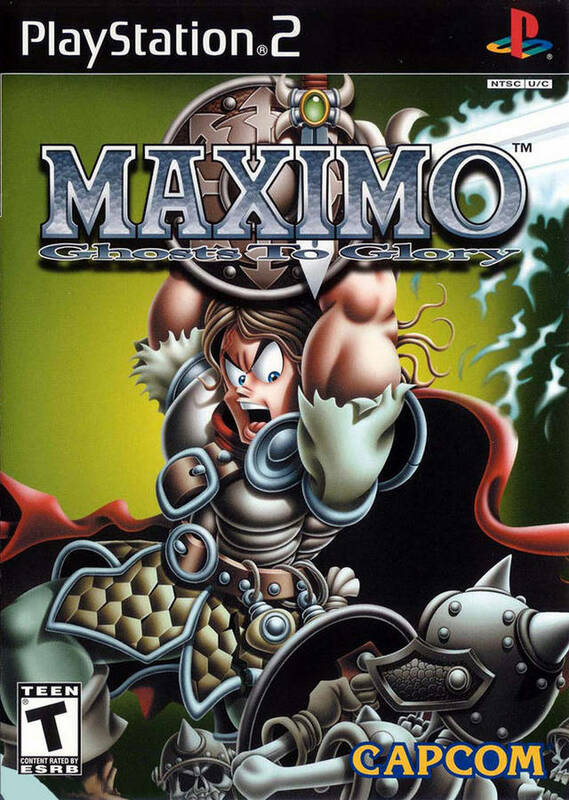 Maximo fights wearing armor, if he is hit, he will lose corresponding pieces of armor and eventually be reduced to wearing his boxer shorts, with another hit resulting in him losing a life. If Maximo loses all his lives, he can continue by giving Death Coins to the Grim Reaper. However, every time he loses all his lives, the required cost for a continue increases.